and fabrications of many types. 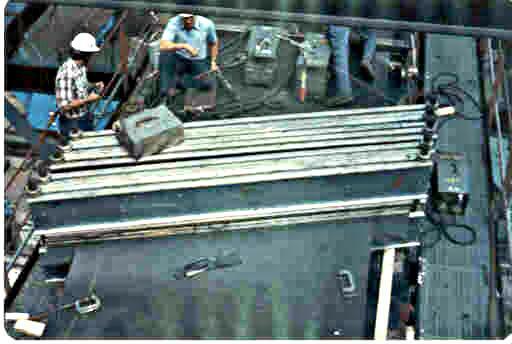 conveyor belt alignments and general troubleshooting. Safety is a high priority with SIRCO management with rigid training procedures and regular mandatory testing for substances of abuse as well as ongoing safety meetings for all employees. Payment terms are normally set on a net 30 days from date of invoice basis although shipments and services can be made on a C.O.D. basis or by major credit cards (i.e., Visa, MasterCard, American Express) with delivery terms very liberal so as to fit each individual customer's needs. We welcome all inquires and will be happy to offer price quotations, samples and literature as needed, or a sales representative will be happy to call on you for your specific requirements.